On a ski holiday in Samnaun you will discover a charming, small mountain village accompanied by a big ski resort. There you have state-of-the-art transport facilities and plenty of ski slopes of all difficulty levels. Tobogganing, winter hiking and snow-shoeing are also possible in the ski resort Samnaun. Snowboarders will find obstacles, a halfpipe, boardercross and much more at Boarder's Paradise, one of the largest fun parks in Europe. 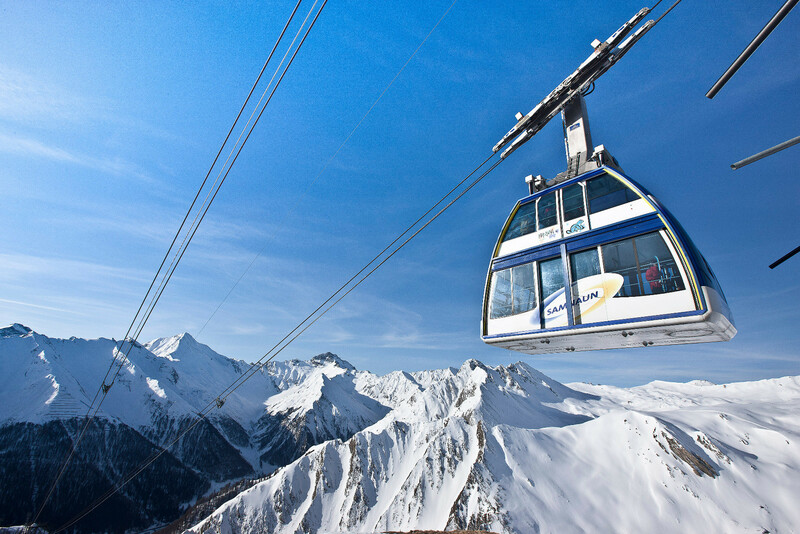 In conjunction with Ischgl, Samnaun forms the Silvretta Arena, the biggest ski resort of the Eastern Alps. Snow reliability is high here from end November till begin May. Restaurants, shops, banks, post offices, petrol stations, night clubs, and a museum.